Lisa's Dreams Are Coming True! We are delighted to congratulate the latest winner of Dear Doctor's Ultimate Smile Makeover contest: Lisa G. of San Antonio, Texas. 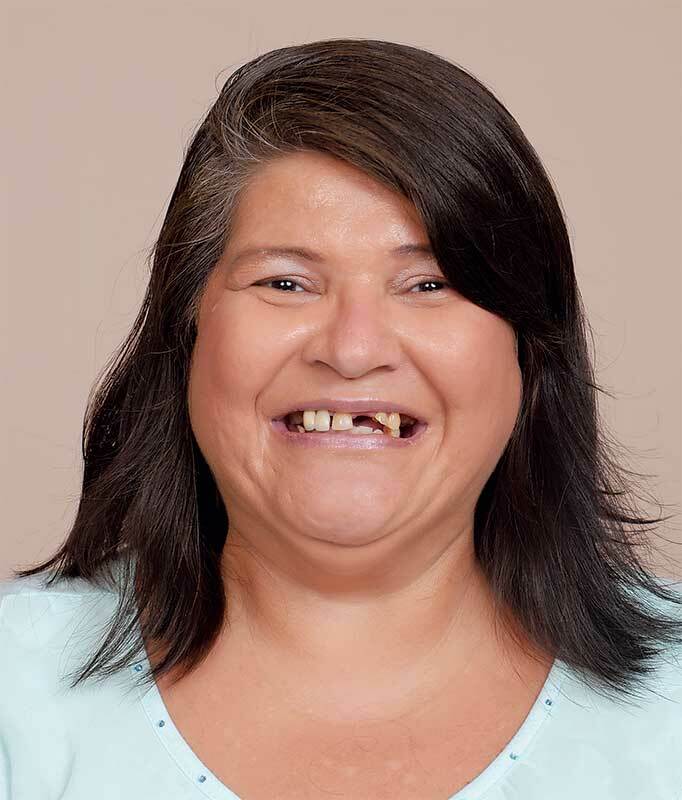 Lisa lost a front tooth at the age of 18, when she suffered an injury to her mouth. Since then, she has not been able to afford regular dental care and her oral health has declined steadily. She has lost additional teeth and has significant tooth decay that affects her ability to eat and smile. She told Dear Doctor that she avoids interacting with people because of her appearance. "I became a recluse," Lisa said. "I don't have a social life." She also believes she has not been able to find a job because of the appearance of her teeth. "When I would go out to job interviews, I would feel embarrassed," she said. Winning the Ultimate Smile Makeover has given her new hope for the future. "I feel like I've been blessed," she said. "I prayed about this all my life. I feel like I won the lottery!" Lisa will soon receive a full set of replacement teeth supported by dental implants. This tooth-replacement method looks and feels the most natural, and should allow Lisa to eat anything she wants and smile with confidence. "I am so excited—I can't wait!" Lisa said. 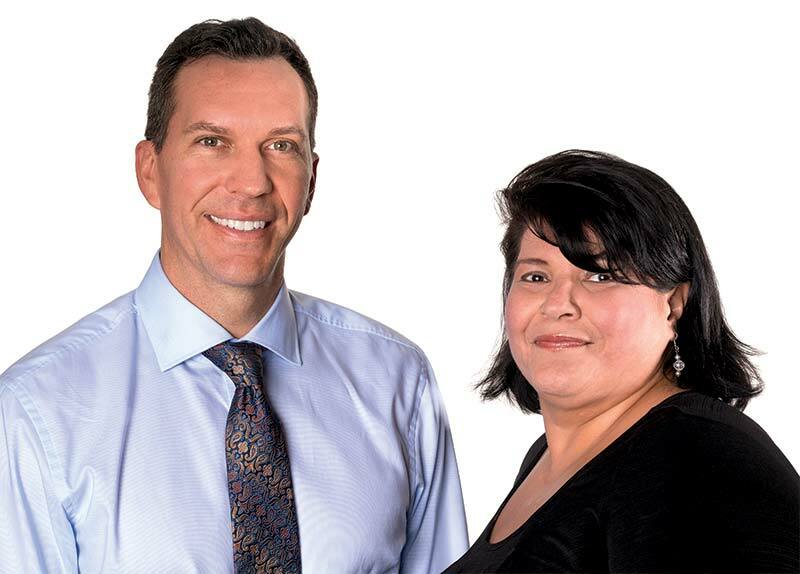 Lisa's makeover dentist is Dr. Andrew J. Weber of Excellent Dental Specialists in San Antonio, Texas. "I was thrilled to be notified that we'd been selected to help Lisa with Dear Doctor's Ultimate Smile Makeover," said Dr. Weber. "This is something that is really exciting—we can give someone back a smile and really make a difference in someone's life who normally would not be able to afford dental care. Giving someone a new lease on life really resonates with me and with my entire practice." Lisa said her first consultation with Dr. Weber went very well. "He's extremely nice and he's very professional," said Lisa. "His dental assistants are very, very nice to me, and the office is beautiful." Stay tuned for more news about Lisa's transformation! Andrew J. Weber, DMD, MS received a pre-dental scholarship from Eastern Illinois University and was admitted into dental school after his junior year of college. He graduated with honors from Southern Illinois University, School of Dental Medicine in 1998. 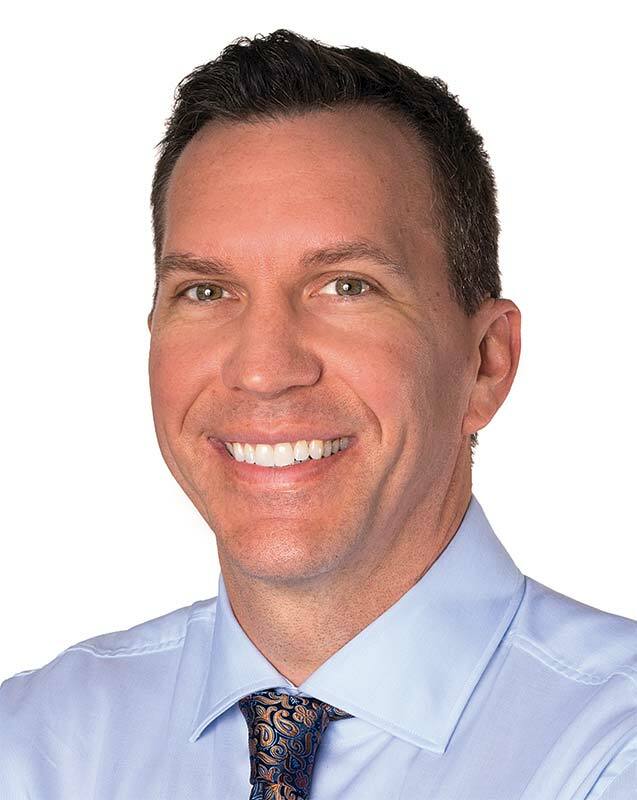 Dr. Weber practiced general dentistry for a year before entering a residency at St. Louis University, where he received his Master's degree and specialty certificate in Periodontics in 2002. He served as a clinical professor at both schools, and is a Diplomate of the American Board of Periodontology. Dr. Weber runs a multi-specialty, multi-facility dental practice in the greater San Antonio area. He is committed to his community and donates his services to help the underserved. He recently took 12 of his employees on a dental mission trip to the Dominican Republic.